The Technocracy strives for its own brand of Ascension. In the Technocrats ideal world, order rules, creativity is outlawed and the human soul is dead. Perhaps, but its a small price to pay. The Technocracy promises purpose, health and prosperity for all. One mans heaven is another mans hell. 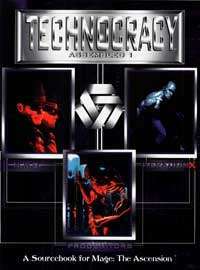 Technocracy Assembled combines out-of-print Mage: The Ascension supplements under one cover. Volume 1 includes the valuable players guides Technocracy: Iteration X, Technocracy: New World Order and Technocracy: Progenitors. The Technocracy is ascendant. Do you rise or fall?